From Lake of Menteith follow A81 to Aberfoyle. At the road junction the A81 turns south. By following it to Ward Toll a return journey can be made to Aberfoyle by Chapelarroch and Gartmore (Cunninghame Graham Memorial). Leave A81 and continue by the A821 which goes through Aberfoyle to the Bailie Nichol Jarvie Hotel, the Brig o’ Forth and Kirkton. Cars can be left in the Car Park, on the site of the former railway station. Aberfoyle has two distinct, if interconnected, claims to literary fame. The most notable is that Sir Walter Scott set the most telling scenes of Rob Roy in Aberfoyle, but the literary provenance of the place goes back much further. The Minister of the Parish from 1685 to 1692 was Robert Kirk. Like many ministers he was a noted scholar who, among other achievements, was the first to translate the Metrical Psalms into Gaelic, and he was asked to superintend the publication of the most significant Gaelic Bible of the seventeenth century. However, it was his interest in fairies and his publication of The Secret Commonwealth, the book about Scottish fairies, which gave him a lasting reputation. It can be said with some certainty that, nowadays, there is less interest in fairies than there was in the seventeenth century. Kirk might be perceived, on this account, as a figure of fun, and receive less attention than he deserves. In considering his life and its influence it is essential to recollect that, until very recently, superstition played an important part in country life. Indeed it still does. Much that was then unexplained made sense if you involved fairies. Scott used Aberfoyle in Rob Roy, and makes much of Kirk and the Fairy Knowe at Aberfoyle as literary device in that book, to mark the transition from the Lowlands to the Highlands. Scott learned about Kirk when he visited the Manse as a young lawyer, although his reference to Kirk in a note to Rob Roy is misleading about his dates. However, a good precis of The Secret Commonwealth is provided by Scott in his Letters on Demonology and Witchcraft, dated 1830. By the Folk o’ Peace. For, man, I’ve maistly had my fill! I was standing out on the little verandah in front of my room this morning, and there went through me or over me a wave of extraordinary and apparently baseless emotion. I literally staggered. And then the explanation came, and I knew I had found a frame of mind and body that belonged to Scotland, and particularly to the neighbourhood of Callander. Very odd these identities of sensation and the world of connotations implied; highland huts and peat smoke, and brown swirling rivers, and wet clothes, and whisky, and the romance of the past, and that indescribable bite of the whole thing at a man’s heart, which is – or rather lies at the bottom of – a story. Lang’s edition of The Secret Commonwealth is regarded by folklorists as being rather slapdash. However, his introduction is an extended essay in faery beliefs which is both erudite and enthusiatic. The book was reprinted in 1933 with a further introduction another locally connected author, R.B.Cunninghame Graham. 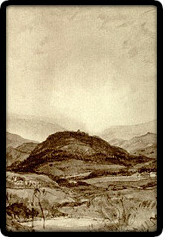 A fine etching of ‘The Hill of the Fairies’ by D.Y. Cameron, who lived at Kippen, illustrated the book, which was published by Eneas MacKay of Stirling. Red with the lifeblood of Dundee. From fairy knowe and haunted hill. He heard, he saw, he knew too well! Unknown of earth he wanders free. The Brownie stints his wonted toil. On lips of any earthly man. Is Chaplain to the Faery Queen. 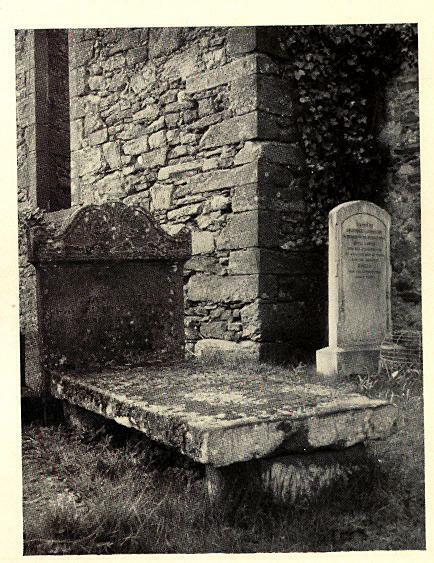 Kirk, a seventh son, was probably born in 1644 in the Manse at Aberfoyle, and in 1685 he became Minister of Aberfoyle. Before dealing with his book about fairies, it is appropriate to refer to his other work which was begun in Balquhidder, where he started his ministry twenty years before that. It might seem surprising, since the most famous version of the Bible in English bears the name of a Scottish King and dates from 1611, that, for most of the seventeenth century, there was no printed version in the Scottish vernacular; that is, there was no attempt to produce a printed version in the Scots Tongue, and no printed version accessible to Gaelic speakers. This latter was partly a product of the intolerant view that Gaelic speakers were difficult enough without being given access to the Bible. It was while he was in Balquhidder that Kirk worked on a Gaelic version of fifty metrical psalms, 221 copies of which were published in 1684, the year before he moved to Aberfoyle. This work was printed in Irish characters, and episcopalian in origin; it did not therefore please everyone, although it was, for about ten years, the only version of the psalms in Gaelic available, after which another, more complete version began to supersede it. However, it was as a result of this work that Kirk became involved with the revision of a printed version in Gaelic of the Catechism, the production and distribution of which was financed by Robert Boyle (1627-91). Boyle was the Irish philosopher and scientist who enunciated several principles on which modern science is based, of which his “law” that, at a constant temperature the volume of a gas is inversely proportional to the pressure, is the best known. He was a director of the East India Company, and used his wealth to further the distribution of the Bible getting it translated, for example into Turkish. Unsurprisingly he was concerned to obtain an Irish version, and in 1685 a translation of both the Old Testament [by Bedell], and the New Testament [by O’Donnell], but not the Apocrypha because Boyle objected, was printed in a new Irish type which Boyle paid for. Rev. James Kirkwood (1650[? ]-1708), a Scot ministering to a flock in Bedfordshire, who had been deprived of his living in Scotland because, unlike Kirk, he had refused to take the ‘Test’, urged Boyle to distribute this Bible [The Bedell Bible] in the Highlands, and obtained 200 copies, supposedly sufficient to provide one Bible for each Parish. Kirk took resposibility for the distribution of them, and produced a small vocabulary dealing with the most difficult words. They were inscribed by Kirk with a certificate paying tribute to Boyle. Kirk regarded the number of Bibles available as ridiculous, partly because many of them were ‘alienated to private use’. The Irish characters were unfamiliar to the Highlanders, and Kirk proposed that more copies should be made available transliterated into Roman characters. Boyle agreed to contribute to the cost. Kirk undertook this enormous task himself in 1688-89. This was a greatly troubled time, following the accession of William and Mary of Orange. Nevertheless the intrepid Minister of Aberfoyle went to London for eight months to supervise the printing of what came to be known as Kirk’s Bible, which was completed by April, 1690. The instigator of the original scheme, Kirkwood, who can be regarded as one of the founders of Scottish libraries because he suggested the establishment of a ‘bibliotheck’ in every Parish, continued the task of distributing them after Kirk’s death. How much is written of pigmies, fairies, nymphs, syrens and apparitions which, though not the tenth part true, could not spring of nothing. Mr Kirk was the near relation of Graham of Duchray, the ancestor of the present General Graham. Shortly after his funeral he appeared in the dress in which he had sunk down, to a medical relation of his own, and of Duchray. ‘Go,’ said he to him, ‘to my cousin Duchray and tell him I am not dead. I fell down in a swoon, and was carried away into fairyland, where I now am. Tell him, that when he and my friends are assembled at the baptism of my child (for he had left his wife pregnant), I will appear in the room, and that if he throws the knife which he holds in his hand over my head, I will be released, and restored to human society.’ The man, it seems, neglected for some time, to deliver the message. Mr Kirk appeared to him a second time, threatening to haunt him night and day until he executed his commission, which at length he did. The time of the baptism arrived. They were seated at the table; the figure of Mr Kirk entered, but the laird of Duchray, by some unaccountable fatality, neglected to perform the prescribed ceremony. Mr Kirk retired by another door, and was seen no more. it is firmly believed that he is, at this day, in fairyland. This tradition was still very much alive more than a hundred years after Patrick Graham’s death. Evans Wentz, the American folklorist, found it to be current when he investigated The Fairy Faith in Celtic Countries in Aberfoyle in 1908. Katharine Briggs (1898-1980), the twentieth century folklorist, relates a story that she was told to the effect that a baby was to be born in the manse at Aberfoyle during the 1939-45 war, and it was said that if the birth took place in Kirk’s chair, and a dagger was stuck into it, Kirk would be released from fairyland. The dislike of fairies for iron is said, according to one theory, to arise from the fact that fairies were the pre-iron age inhabitants of the country. Lewis Spence (1874-1955), the Scottish Nationalist and authority on the primitive and the occult, points out that the story about Kirk is a variation of a wide-spread folk myth, in which a woman who has given birth to a child is spirited away by the fairies in order to nurture a fairy infant. In many of these stories the woman is permitted from time to time to return to her child, and reveals to her husband the way in which she can be released, generally a method involving the use of iron. Spence says that Kirk’s legend is the only example he knows of a man rather than the woman being taken away at about the time of childbirth, but he suggests that another primitive belief, recorded, for example, in Scotland by Pennant in 1769, could explain this. This is the belief that if the fairies find a man in bed with an infant, or even that if the baby is wrapped in a man’s shirt, for example, it will ward off evil spirits. Scott apologised to Graham, who wrote to him again urging the novelist to leave the passage as it was “I am truly sorry that you have felt uneasiness about the mistake made in your beautiful novel Rob Roy in the mention of my name, to which, on many occasions, you have done so much honour…….. I must be soon be entitled to the epithet which you have employed.” Scott then made his apology public in a note in an edition of The Legend of Montrose, which begins in the Trossachs. It is with mingled pleasure and shame that I record the important error of having announced as deceased my learned acquaintance, the Rev. Dr Graham, Minister of Aberfoyle. I cannot now recollect the precise ground ogf my depriving my learned and excellent friend of his existence, unless like Mr Kirk, his predecessor in the parish, the excellent Doctor has made a short trip to Fairyland, with whose wonders he is so well acquainted. But however I may have been misled, my regret is most sincere for having spread such a rumour; and no one can be more gratified than I that the report, however I may have been induced to give it credit and currency, is a false one, and that Dr Graham is still the living pastor of Aberfoyle, for the delight and instruction of his brother antiquaries. Charles Nodier (1780-1844) visited Scotland in June 1821 in company with Eugene Isabey, Alphonse de Cailleux and Baron Taylor, and wrote Promenade de Dieppe aux montagnes d’Ecosse. In 1822 the Promenade was translated into English by Clifford and published by Blackwood, Edinburgh. 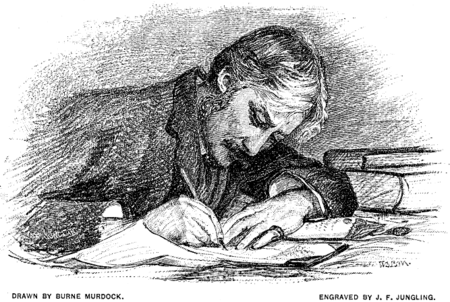 Like many other writers he admired Scott, and like Scott was interested in the supernatural. In his novel Trilby, set more in the vicinity of Loch Long and Inverary than the Trossacchs, Nodier refers to a song, ‘The Ghost of Aberfoyle‘, stated in a note to have been lost, and it is said that he based one of the characters on a boatman on Loch Katrine. In the Promenade there is a notable description of the ascent of Ben Lomond. Timely descend, ye fostering showers! And beautiful blow, thou western gale. Clear may thy youthful current flow! And love to linger in the wild! However, Aberfoyle is principally associated with Scott’s Rob Roy. This complex novel is about inheritance, family quarrels over a business enterprise involving embezzlement, and, of course, unrequited love. It is set at first in England, and involves a journey to Scotland which enables Scott to describe the Roman Wall near Carlisle, Glasgow, and the vicinity of Aberfoyle in his inimitable way. Frank Osbaldistone, an Englishman, is he narrator. He describes the party’s first encounter with the Forth. We found ourselves at length on the bank of a stream,which rather resembled one of my native English rivers than those I had hitherto seen in Scotland. It was narrow, deep, still, and silent, although the imperfect light as it gleamed on its placid waters, showed also that we were now among the lofty mountains which formed its cradle. “That’s the Forth,” said the Bailie with an air of reverence, which I have observed the Scots usually pay to their distinguished rivers. The Clyde, the Tweed, the Forth, the Spey, are usually named by those who dwell on their banks with a sort of respect and pride, and I have known duels occasioned by any word of disparagement. I cannot say I have the least quarrel with this sort of enthusiasm. The Forth, however, as far as the imperfect light permitted me to judge, seemed to merit the admiration of those who claimed an interest in the stream. A beautiful eminence of the most regular round shape, amnd clothed with copsewood of hazels, mountain-ash, and dwarf oak, intermixed with a few magnificent old trees, which rising above the underwood, exposed their forked and bared branches to the silver moonshine, seemed to protect the sources from which the river sprung. If I could trust the tale of my companion, which, while professing to disbelieve every word of it, he told under his breath, and with an air of something like intimidation, this hill, so regularly formed, so richly verdant, and garlanded with such a beautiful variety of ancient trees and thriving copsewood, was held by the neighbourhood to contain, within its unseen caverns, the palaces of fairies; a race of airy beings, who formed an intermediate class between men and demons, and who, if not positively malignant to humanity were yet to be avoided and feared, on account of their capricious, vindictive, and irritable dispositions. We crossed the infant Forth by an old-fashioned stone bridge, very high and very narrow. My conductor, however, informed me that to get through this deep and important stream, and to clear all its tributary dependencies, the general pass from the Highlands to the southward lay by what was called the Fords of Frew, at all times deep and difficult of passage, and often altogether unfordable. Beneath these fords there was no pass of general resort until so far east as the bridge of Stirling; so that the river of Forth forms a defensible line betwixt the the Highlands and Lowlands of Scotland, from its source nearly to the Frith, or inlet of the ocean, in which it terminates. The subsequent events, which we witnessed, led me to recall with attention what the shrewdness of Bailie Jarvie suggested, in his proverbial expression, that “Forth bridles the wild Highlandman”. Among the neighbours with whom William Graham, the eighth Earl of Menteith (1667-1694), had debts and disagreements, was John Graham, laird of Duchary and his son Thomas Graham, but for some time he found it impossible to put these into execution. No sherrif officer was willing to enter Duchary Castle with his writs. At length, what seemed to be a favourable opportunity presented itself. The younger Graham was to have a child baptised at the Kirk of Aberfoyle on 13th February 1671, and it occurred to the Earl that, not only the father of the child, but old Duchary and the whole family would be present at the interesting ceremony. He resolved therefore to seize the opportunity to serve his letters of caption. Having collected a number of his friends and servants and taking with them a Messenger-at-Arms, Alexander Muschet, he intercepted the christening party at the Bridge of Aberfoyle. The baby was set down upon the ground, and the Duchary men, with swords guns and pistols, fell fiercely on Muschet and his satellites, and, threatening loudly that they would slay half of them and drown the rest in the Forth, drove them back on the Earl and his friends. The latter at first gave way, but quickly rallied, and a stubborn fight ensued. The Earl himself narrowly escaped the bullets of his assailants, and several of his servants were wounded, one of them – by name Robert MacFarlane – having two of his fingers shot away. At last his party was fairly driven rom the field, and turned in full flight to Inchtalla. We, the people of Scotland who subscribe to this engagement, declare our belief that reform in the constitution of our country is necessary to secure good government in accordance with our Scottish traditions and to promote the spiritual and economic welfare of our nation. We affirm that the desire for such reform is both deep and widespread through the whole community, transcending all political differences and sectional interests, and we undertake to continue in purpose for its achievement. With that end in view we solemnly enter into the Covenant whereby we pledge ourselves, in all loyalty to the the Crown, and within the framework of the United Kingdom, to do everything in our power to secure for Scotland a Parliament with adequate legislative authority in Scottish affairs. Although the Aberfoyle region is uncomfortably close to the Trossachs for my liking it is beautiful country. It was in a hotel in Aberfoyle that the sinister document the Scottish Covenant was hatched. I know because I was there. The hotel was subsequently renamed “The Covenanters Inn”. It was in “The Covenanters Inn” that I once had a mild passage of arms with the late Dr. C.E.M.Joad. Dr Joad had been addressing a conference and during his speech he said some uncomplimentary and unkind things about the Americans. I happened to have my wife’s father, a clergyman from Chicago with me and I did not propose to let unfriendly remarks about the Americans go unchallenged. I interrupted the philosopher and told him I deeply resented the tone of his remarks, which were based on a grotesque exaggeration. Dr Joad deflected my protest with some clever, smart and irrelevant retort. But afterwards he came and thanked me for my interpolation and admitted that he had not dealt fairly with it. I happened to have an admiration for Dr Joad, who, I considered, was all too often dismissed as a shallow thinker and glib talker by his professional colleagues. He certainly was an interesting talker, and I later saw him dancing eightsome reels with great zest. The Duke of Montrose has here erected the new and elegant Bailie Nichol Jarvie Hotel [Mr A. Blair]. This commodious hotel is raised on the ruins of Jane McAlpine’s public house where the worthy Bailie met Major Galbraith on the memorable night when he brandished the red hot poker. This rude instrument of death has been handed down from Jane McAlpine’ssuccessors to Mr Blair and may be seen in front of the hotel chained to a tree. I remember when in the Inn (it was not in those days called an Hotel) there hung an almanac in the entrance hall, containing the announcement, “12th of August. Grouse shooting opens. Episcopacy abolished”. George Douglas Brown (1869-1902), a generation younger than Lang, wrote the novel The House With The Green Shutters which was promoted as a masterpiece by the older man. The summer after the novel was published, and was beginning to meet with success, Brown spent three weeks in Aberfoyle. While he was there he a had a premonition that he might never marry his fiancée; and he died of pneumonia early that autumn. Carol Shields (1935 – 2003), the American novelist was in Britain in 1955 on an exchange programme to study literature at Exeter University. On a trip to Aberfoyle she met Donald Shields, a Canadian engineer, who became her husband. A literary walk begins by crossing the Forth Bridge in Aberfoyle, as Bailie Nichol Jarvie and his party were supposed to have done. The old Parish church of 1774 with Kirk’s grave is on the left, and the former Covenanters Inn on the right. The Fairy Knowe is prominent in front and a forest road leads to it. By continuing along this road the Old Bridge across the Forth at Gartmore is reached. Beyond the bridge are the policies of Gartmore House, one time residence of Cunninghame Graham. In the village, on the edge of the playing fields, is the Cunninghame Grahame Memorial. From the bridge it is possible to return to Aberfoyle along the line of the old railway. The Old Brig o’ Forth at Gartmore (Cobleland) replaced the Gartartan Ferry. The Professor of Humanities from Glasgow, the poet William Richardson of Aberfoyle, lived in later life close to his friend Robert Graham at Bridgend of Gartmore, now a barn. It was written down from a recitation by Sir Walter Scott who considered it to be a C17 lyric, and included it in his Minstrelsy of the Scottish Border, although Scott was later told that Graham was the author and acknowledged the fact. Robert Graham made several significant literary friendships. One of Graham’s sons was married to the sister of the Cumbrian poet Susanna Blamire (1747-94) who visited Gartmore (see Menteith), and contributed to Johnson’s Scots Musical Museum (1790). Hector MacNeil (1746-1818), the minor poet, with whom Graham later quarrelled, was a frequent visitor to Gartmore, 1786-90, when he lived near Stirling. Graham almost certainly met him in the West Indies, where he also formed a lifelong connection with Tobias Smollett (1721-71). Robert Burns (1759-96) thought Graham “the noblest instance of great talents, great fortune, and great worth that ever I saw.” John Leyden (1775-1811) dedicated a book of poems to a Miss Graham of Gartmore. When I visited Gartmore House, the wind that so often ripples the heathery sea of Flanders Moss, stirred through the overgrown shoots which now choke the once-orderly terraces. The place was taken over by the army during the Second World War, when the estate was much mutilated. Concrete hut bottomings still littered the grounds and rusted barbed-wire snaked through the tangled briars. The house itself, an enormous rambling place, with coarse nineteenth century additions, has now become a Roman Catholic school. John Burns had joined us on this occasion at Gartmore, for it was just at this time that they had both come out of Pentonville, where they had served six weeks’ hard labour for their share in the Trafalgar Square riots over the queston of free speech – the two of them taking on, so they claimed, single-handed, the constabulary numbering five thousand. I asked them about their experiences in prison. Hard labour they considered less irksome than ordinary imprisonment, for with the former you were given plenty of coarse food, and time passed; while with they latter you were starved and left to pass the time in contemplation. There was a parson in the next cell to him, said Graham, who was in for “an old ecclesiastical. Burns was very proud of his biceps which he exposed, and Graham equally so of his agility with the foils, which he demonstrated from time to time with the aid of his walking-stick as we strolled in the cool of the evening. Graham purchased from the tramway company a wild Argentine pony that refused to go into harness. He named him Pampa, and insisted on my painting a picture of himself in complete cowboy outfit on the pacing steed. Then I painted him frankly in the manner, full-length and life-size, a harmony in brown, which he christened “Don Roberto, Commander for the King of Aragon in the Two Sicilies” (The equestrian group he presented to Buenos Ayres, and the Commander was purchased by the Corporation of Glasgow) It was concerning the latter that Bernard Shaw said, “He is, I understand, a Spanish hildago, hence the superbity of his portrait by Lavery (Velasquez being no longer available). He is, I know, a Scottish laird. How he continues to be authentically the two things at the same time is no more intelligible to me than the fact that everything that has ever happened to him seems to have happened in Paraguay or Texas instead of Spain or Scotland.” When I knew him at this time his finances were in a shocking state, and things were getting unbearable down at Gartmore. Suddenly he wrote to say that he could stand it no longer. Would I come down at once and see him end it all with Pampa, in a spot where I had painted a view of the Rob Roy Country that he loved? I wired back, “Ill in bed, wait till next week.” Thus I postponed his death for forty years. 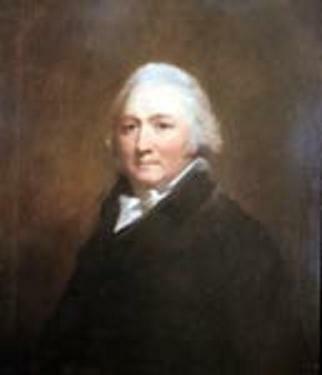 The portrait to which Shaw, who used Cunninghame Graham as a prototype for Captain Brassbound and for Bruntschli in Arms and the Man, refers is in the Kelvingrove Art Gallery, Glasgow. They also have a small bronze head of Cunninghame Graham by Jacob Epstein. citizen of the World as betokened by the stones above. There was in that time one Robert MacGregor, who assumed the name of Campbell, but was commonly known by that of Rob Roy, who was descended of a little family of that clan, which held a small farm of and in Balquhidder in fue of the family of Atholl, and who commonly resided in the parish of Buchanan, Balquhidder, or on the confines of Argyllshire. This man, who was a person of sagacity, and neither wanted stratagem nor address, having abandoned himself to all licentiousness, set himself at the head of all the loose vagrant and desperate people of that clan in the west end of Perth and Stirling shires, and infested those whole countries with thefts, robberies and depredations. Very few who lived within his reach (that is within the distance of a nocturnal expedition) could promise themselves security, either to their persons or effects, without subjecting themselves to paying him a heavy and painful tax of blackmail. He at last proceeded to such a degree of audaciousness, that he committed robberies, raised depredations, and resented quarrels at the head of a very considerable body of armed men, in open day, and in the face of the government. Mr Graham of Killearn was then the factor of the Duke of Montrose, and was in use to collect his rents at a place on the borders of those Highlands at Buchanan, not above four miles from the house of that name, and no more from the town of Drymen. Being there upon that occasion, Rob Roy with about twenty of his corps, came full-armed from the hills of Buchanan, apprehended his person in that place, robbed him of £300 sterling of that Duke’s rents, amidst his whole farmers, and carried that gentleman prisoner up amongst the hills, where he detained him a considerable time.